Our forum moderators are among the best and most active members in our community. They are here to ensure conversation remains fun and respectful, and that our forum rules and guidelines are adhered to. 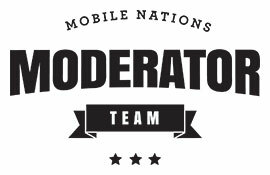 If you have any questions about the moderation team, feel free to reach out to me, or our Mod Team Leader here on Android Central, @Almeuit! Who is on the Android Central Moderation Team? If you'd like to apply to become a member of this team, please see our volunteer application thread! KatieBlue and annie baker like this. My Samsung Laptop is not responding, what should I do?